We all love a firm bottom. In our bags that is! A solid or sturdy base added to a bag can be useful in a number of ways. It helps to give the bag shape and stability and makes it more hardwearing. It can prevent sagging when you add some weighty contents to your bag. It can also be a useful addition to secure hardware such as bag feet, which can in turn keep the base of your bag off the floor and keep it looking cleaner for longer. 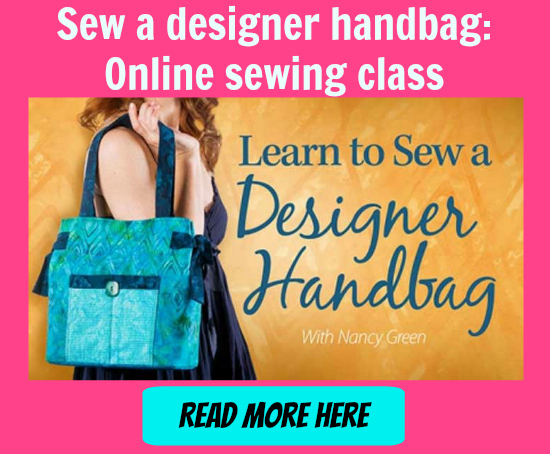 Many bag patterns don’t always come with instructions to adding a firm base, or you might already have a bag you’ve made that sags and could benefit from some extra stability. In this tutorial over at Sew Can She, you’ll learn how to measure and make a firm base which is removable and you can push it down inside any bag to sit on top of the lining. That’s a great way to also keep the bottom of your bag lining clean too because it can be removed for washing, or simply replaced if it gets grubby. Find the tutorial for a firm bottom at Sew Can She!